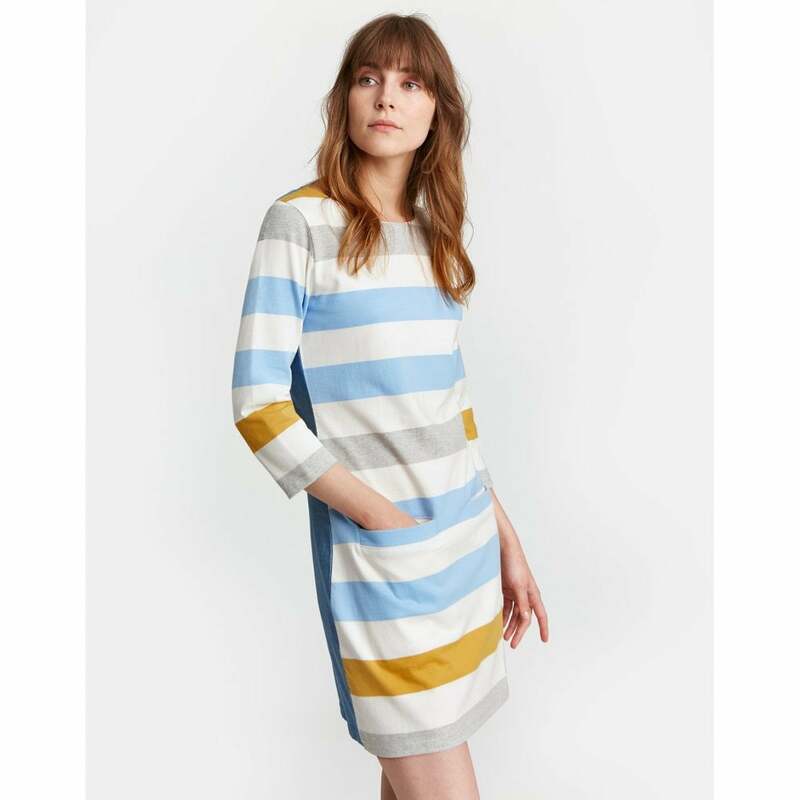 Created using a mix of luxurious woven cotton and super soft jersey this dress really gives the best of both worlds. Designed in a new style it falls just above the knee and is perfect for a autumn occasion. Why not add tights and boots when the weather turns cooler for a dress that carries you through the year.